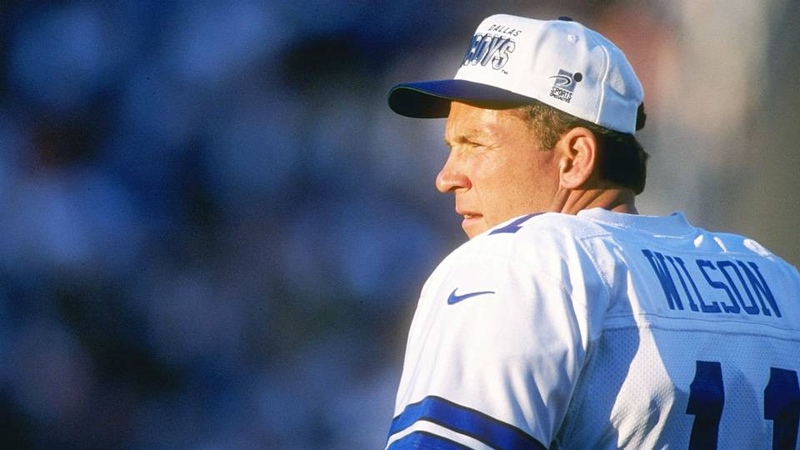 Former quarterback Wade Wilson, who played for five NFL teams over 17 seasons, and was most recently a Dallas Cowboys assistant coach, died Friday on his 60th birthday. Wilson was an eighth-round draft pick by the Minnesota Vikings in 1981 out of Texas A&M-Commerce and saw action briefly in three games the following season. He started his first game for the Vikings in 1983 and made 12 starts for Minnesota by the 1989 season. He passed for 17,283 yards, 99 touchdowns and 102 interceptions for the Vikings (1981-91), Atlanta Falcons (1992), New Orleans Saints (1993-94), Cowboys (1995-97) and Oakland Raiders (1998). He was selected to the Pro Bowl following the 1988 season after leading the NFL in completion percentage (61.4). Wilson was quarterbacks coach for the Cowboys from 2000-2002 and again from 2007-17 working with both Tony Romo and eventually Dak Prescott, who he helped win Rookie of the Year honors in 2016. Wilson also served as quarterbacks coach of the Chicago Bears from 2004-06.